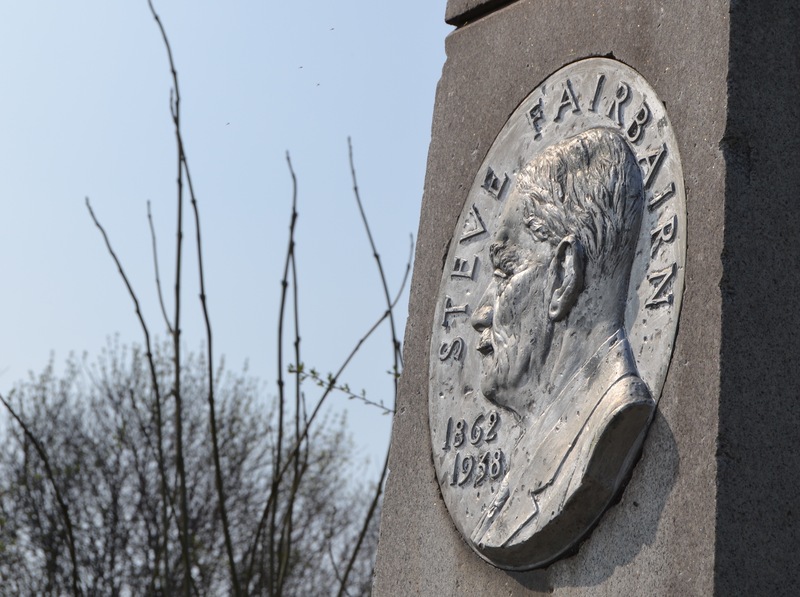 ‘Steve’ looks out from the Mile Post at his creation, the Head of the River Race (HoRR). Officially, 2019 is classed as the 86th race but, pedantically, I count 82 (this number excludes the two started but abandoned Heads of 2007 and 2014). 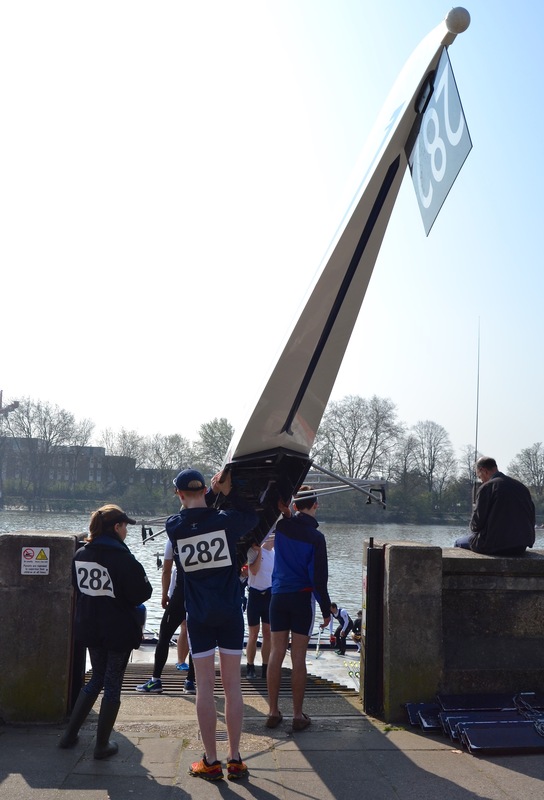 Tim Koch sees 3000 men and women take to the Tideway. It is commonly said that The sun always shines on the righteous, but the rest of this expression derived from Matthew’s Gospel, and on the ungodly too, is less well-known and used. 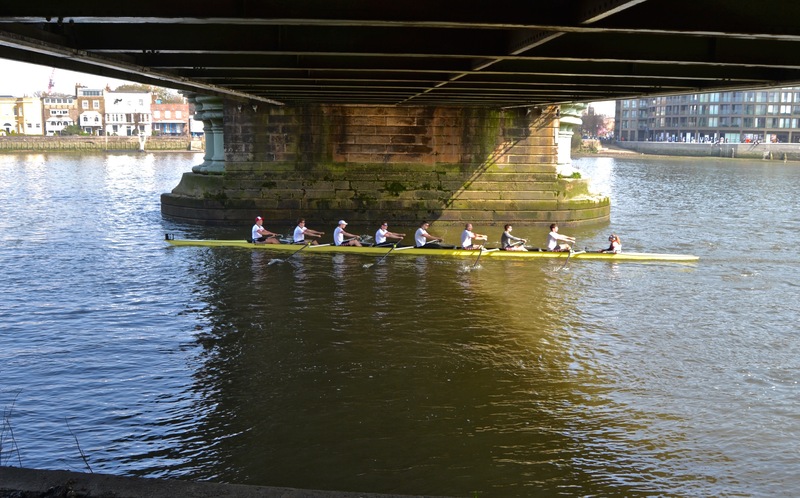 In rowing terms in recent years, it could be said that The sun always shines on the Women’s Eights Head – but not on the Men’s. 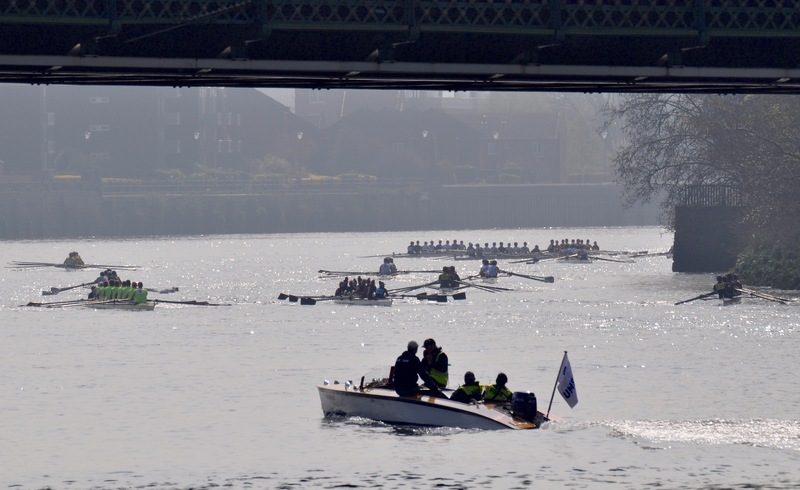 However, 2019 saw a reversal of this when the event that currently seems to be promoting the horrible acronym ‘Wee-hore’ (WEHoRR) had to cancel their race scheduled for 16 March due to forecast bad weather, while the HoRR held on 30 March enjoyed ‘shirtsleeves’ temperatures and fine racing conditions. No jacket required. Birmingham University ‘A’ boat from Hammersmith’s Furnivall Green in delightful spring weather. 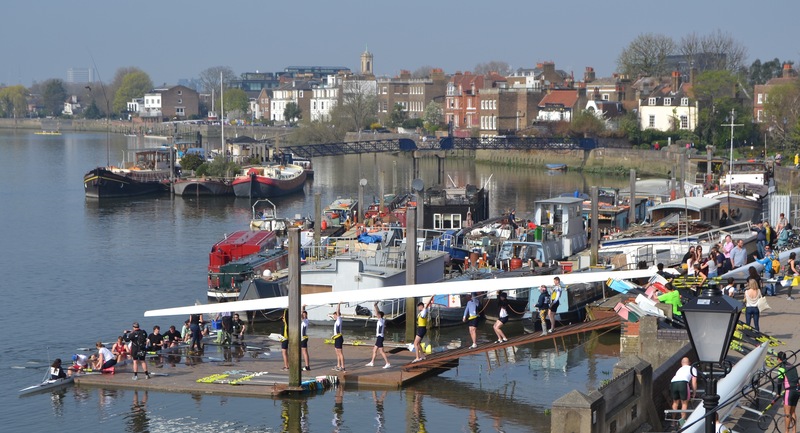 (This) is not a replacement for the original (WEHoRR) 2019 race and crews will race solely for time within the HORR. 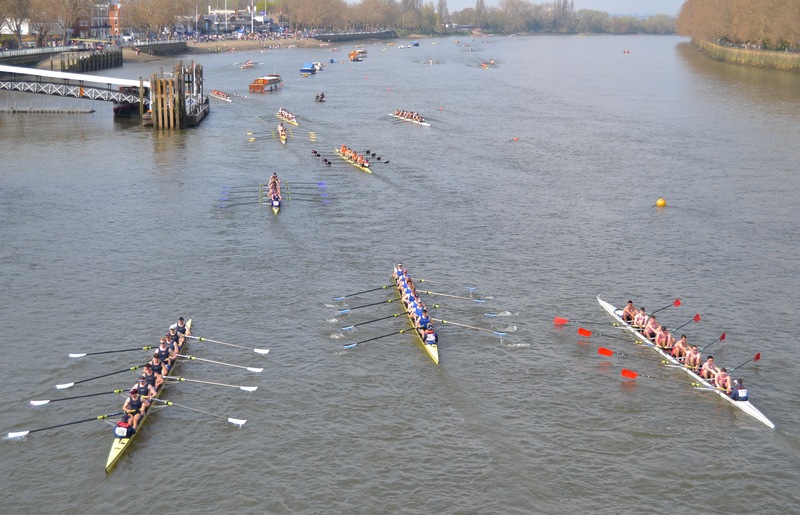 All rules, safety and marshalling instructions will be controlled by the HORR. 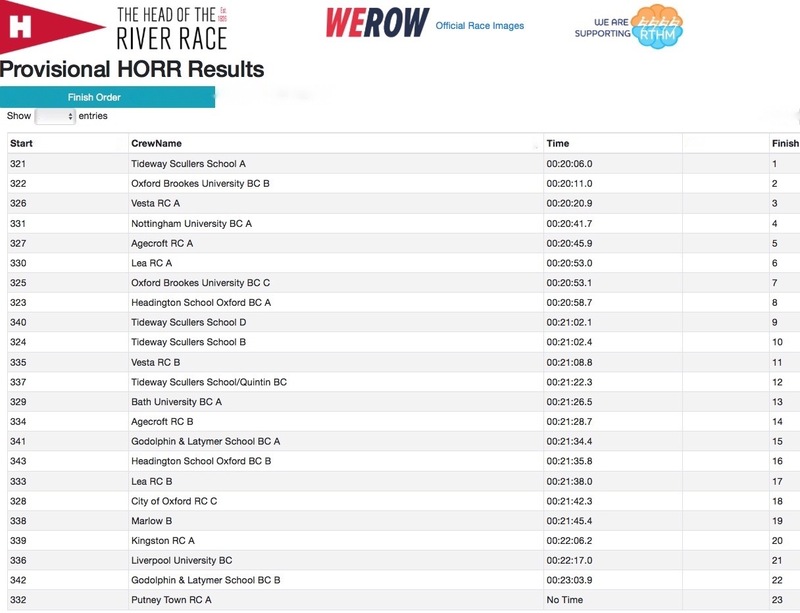 No WEHoRR Pennants will be awarded based on these results, however athletes will be awarded PRI according to their finishing position… For clarity, as this is not a replacement race, the start order for the top 50 crews in the 2020 Women’s Head will be based on the finishing positions from the 2018 race. While many of the highest level women’s crews, in particular, could not take up this offer due to training or other commitments, 23 were able to race. 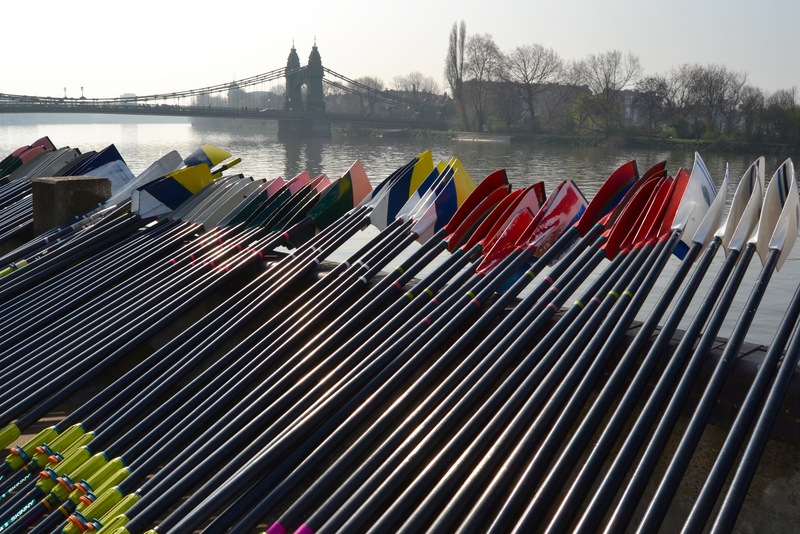 Blades drawn: oars ready at Hammersmith. Christ’s College, Cambridge, boat from Furnivall Sculling Club. The Furnivall pontoon. 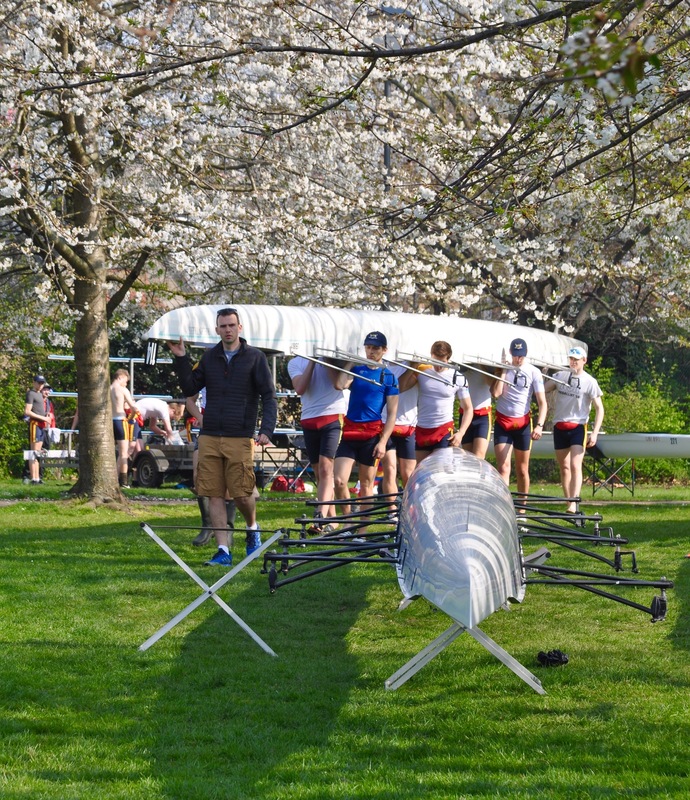 On the water, Fitzwilliam College, Cambridge, ‘A’, on the ramp, Heriot-Watt University ‘A’. 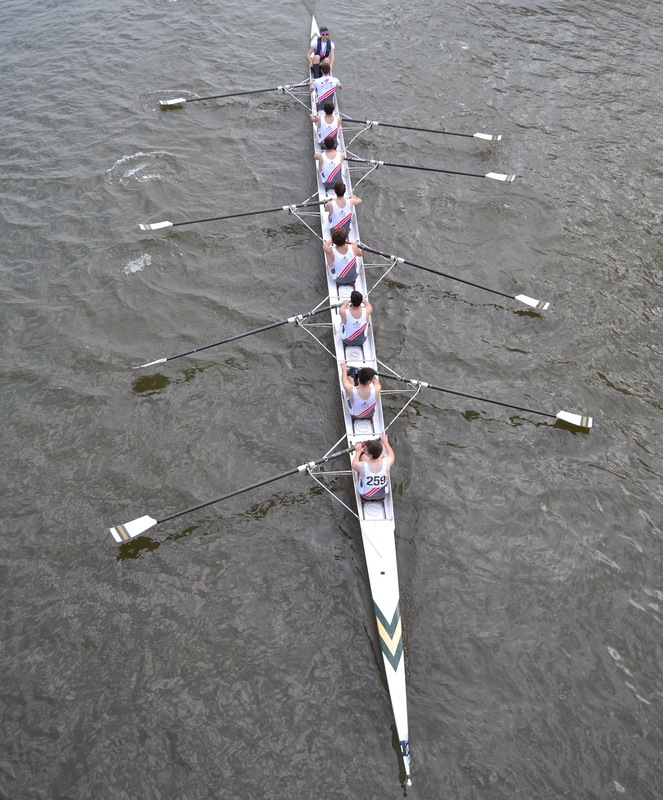 The Oxford Brookes Women’s ‘C’ Crew going under Hammersmith Bridge. 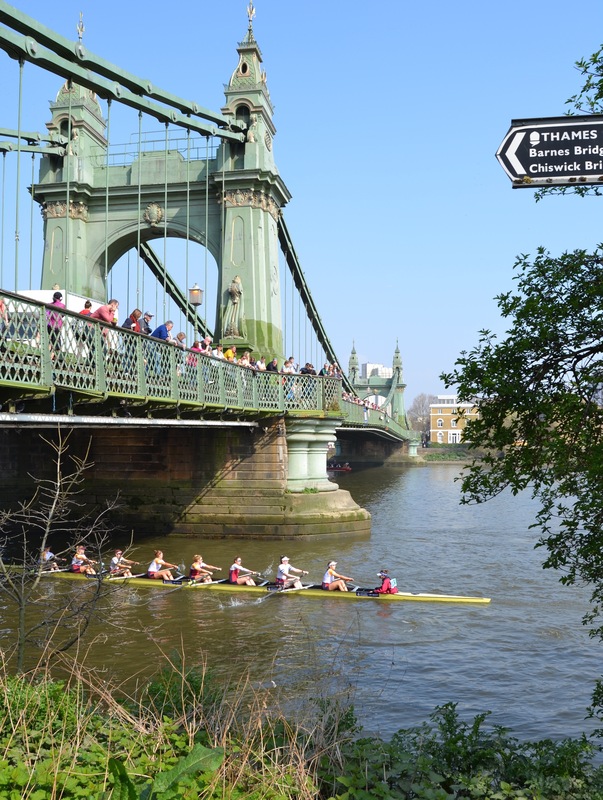 Thames ‘B’ under Hammersmith Bridge. 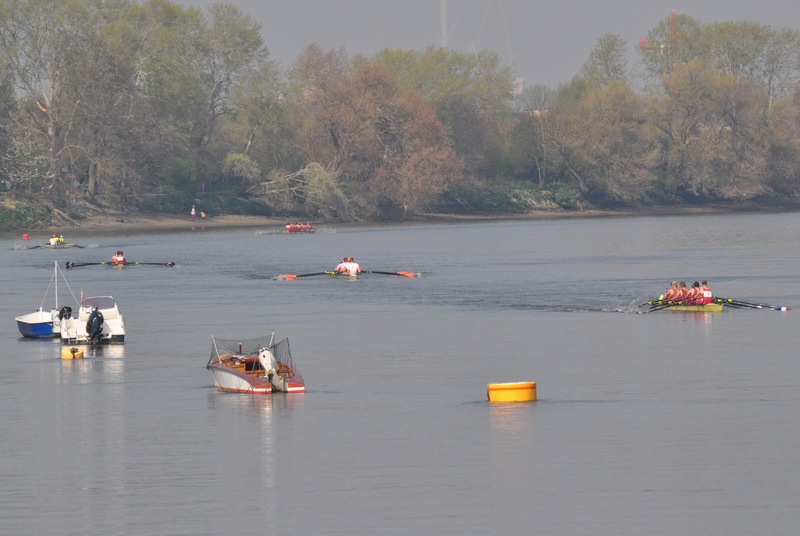 The first five boats approach Putney. Brookes ‘A” lead followed by Leander ‘A’, Brookes ‘B’, Leander ‘B’ and Brookes ‘C’. 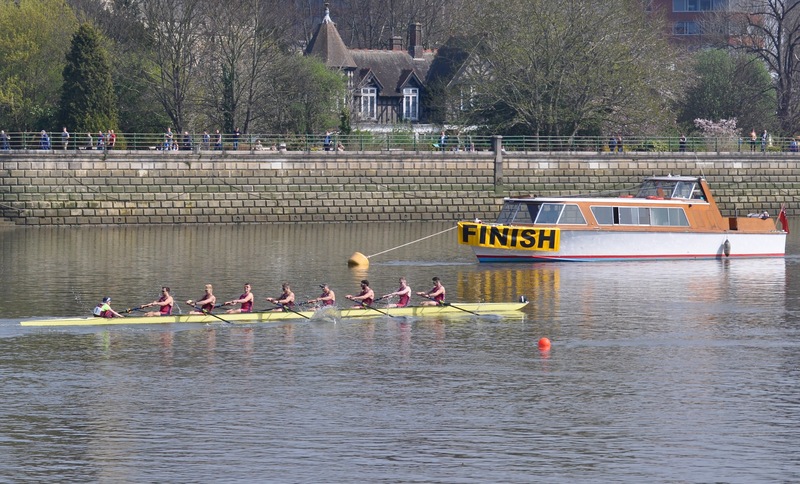 Oxford Brookes University ‘A’ go Head of the River, winning the Fairbairn Trophy. 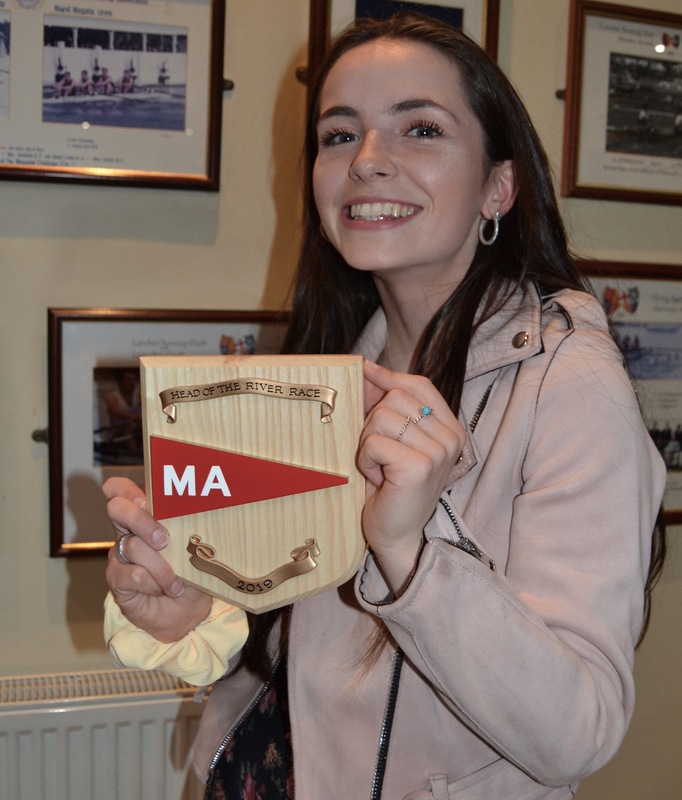 Leander ‘A’ were just over three seconds behind Brookes and won the Club Pennant. 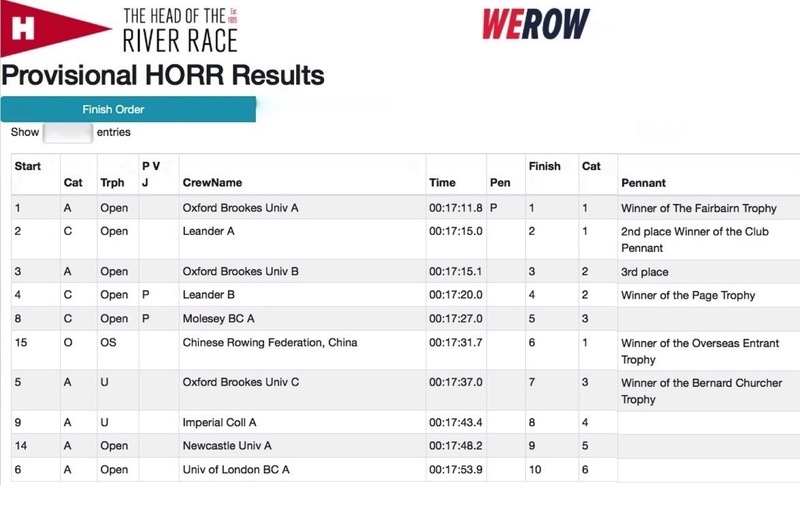 Brookes’ 2nd Eight were 0.1 of a second behind Leander and came third. 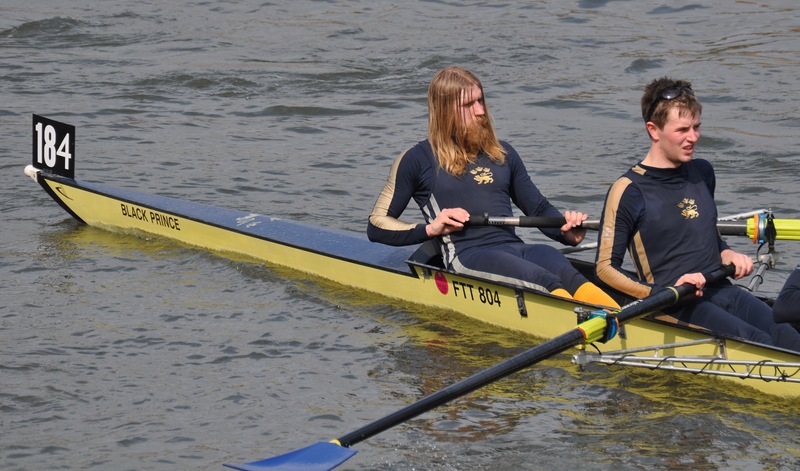 Leander ‘B’, winner of the Page Trophy, awarded to the fastest club crew normally rowing on the Thames or its tributaries but not on the Tideway. 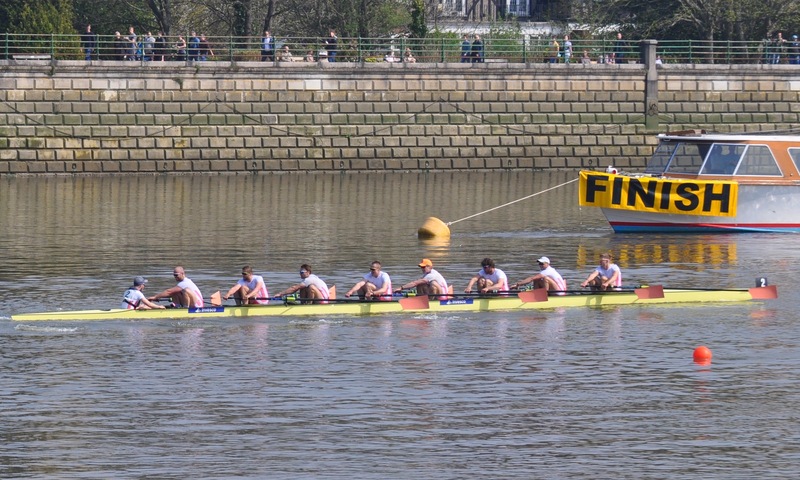 The Chinese Rowing Federation, number 15, fought to the finish with Newcastle University ‘A’, number 14. Sir Steve Redgrave, now high-performance director of the Chinese national rowing team, entered the crew after a training camp in Britain. They took the Overseas Pennant and sixth place. The top ten men’s results. Click to enlarge. All the men’s results are here. All the women’s results. Click to enlarge. 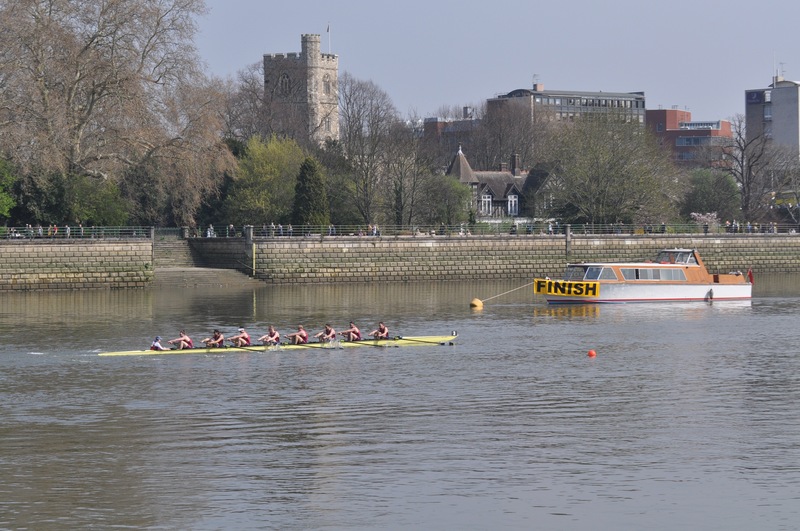 A view from Putney Bridge, just below the finish. 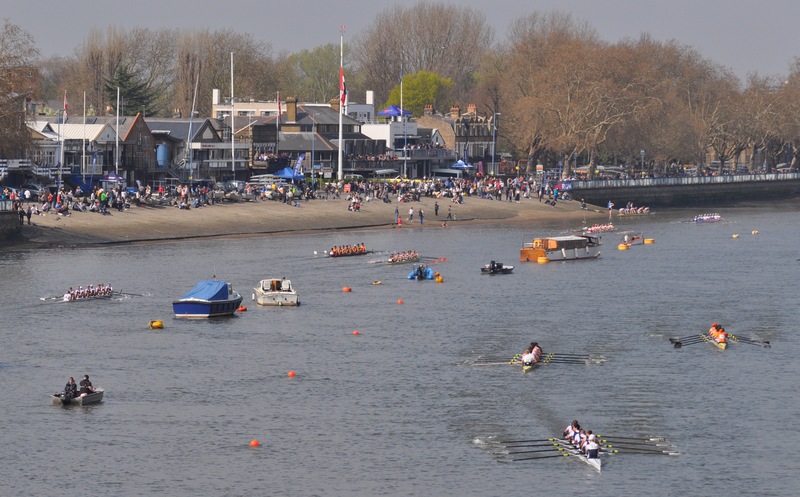 The boats on the left, rowing along London’s Boathouse Row on Putney Embankment, have finished racing, those on the right are a few strokes from the end. 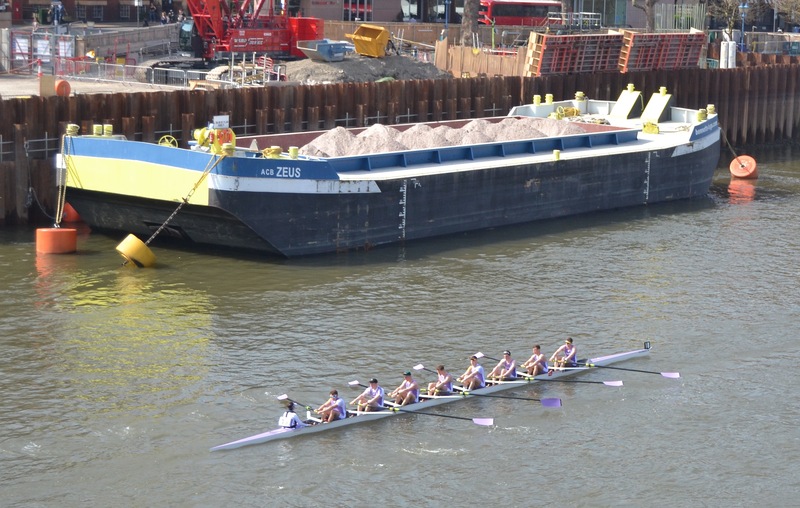 Durham University ‘A’ return to their boating point, passing evidence of the enormous amount of work going on to build London’s new £4.2bn ‘Super Sewer’, a project that will be of great benefit to the rowing community. 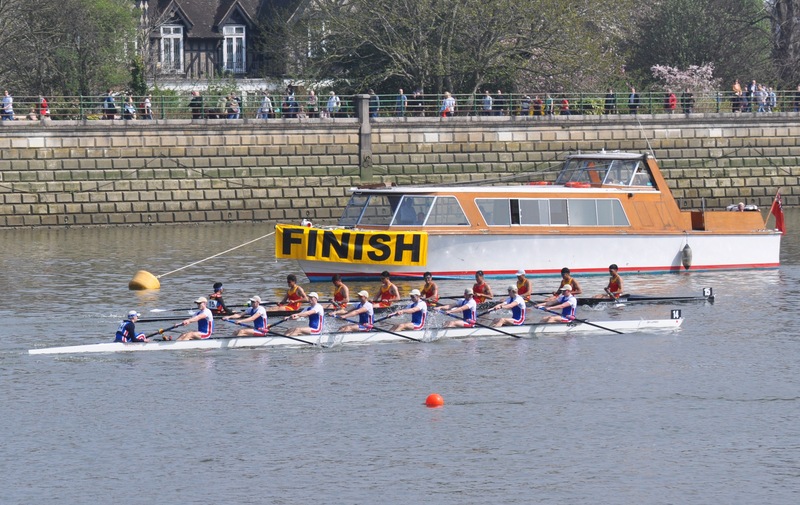 Another view from Putney Bridge with about a quarter of the crews having finished. Lea ‘B’ look pleased with their race. Tyne ‘D’ may have raced a day early. 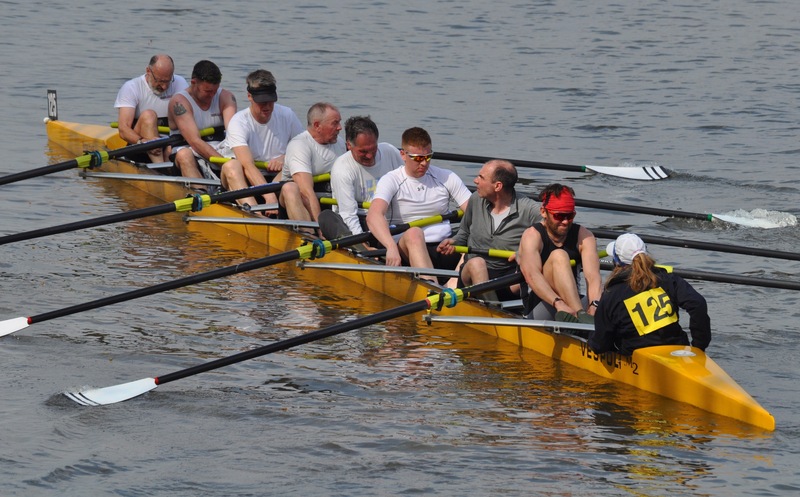 The ‘A’ crew of the Trinity College, Cambridge, Boat Club, 1st and 3rd Trinity, raced in a boat with a historic name. First Trinity Boat Club won the Grand Challenge Cup at the first Henley Regatta in 1839 in another ‘Black Prince’. They also seem to have Young Father Thames at bow. Ecole Centrale from France show an unusual rig. The East India Club show an even more unusual rig. 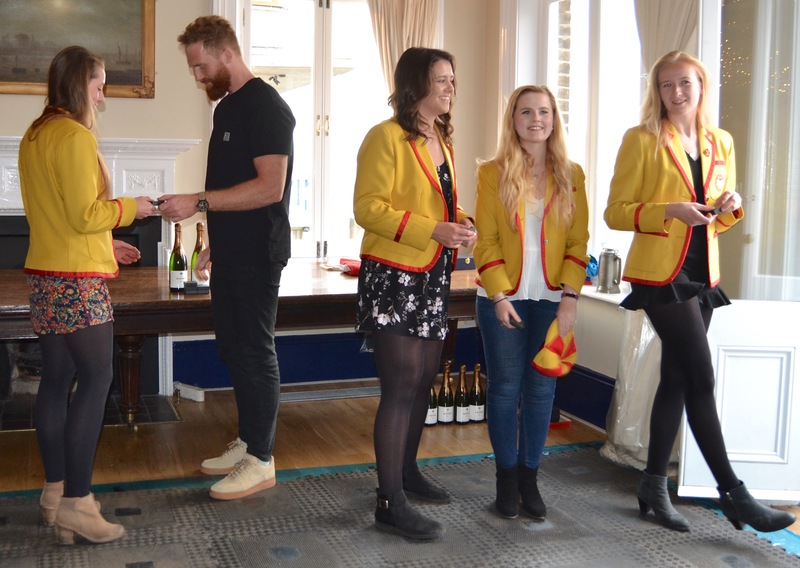 The prize-giving was held at London Rowing Club a few hours after the end of racing. 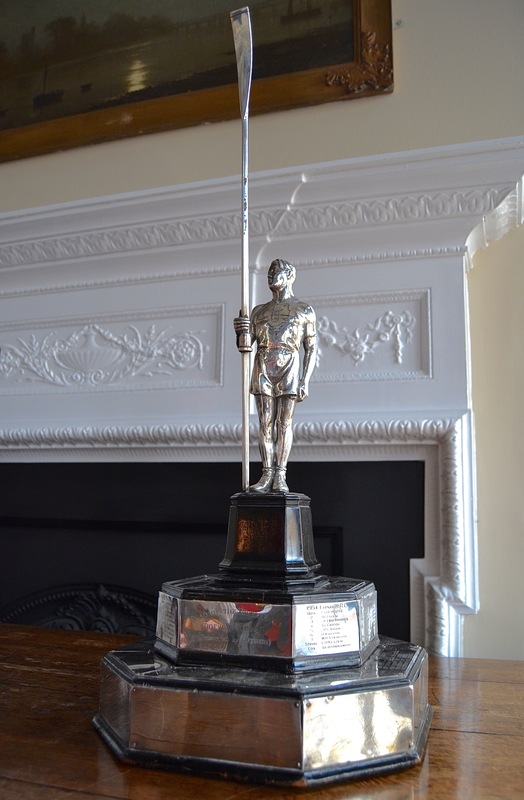 This is the Vernon Trophy awarded to the fastest Tideway club. The indefatigable Karl ‘Bean’ Vernon presented this in 1954, the first of the three location-based club trophies. 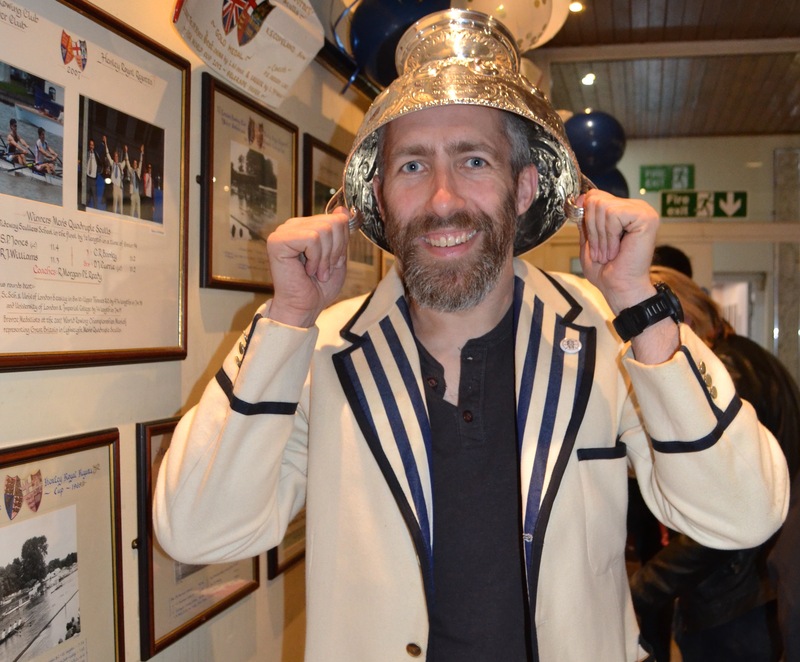 It is made from the melted-down silver of prizes that he won and is a statuette of Jack Beresford, the greatest British oarsman of the pre-Redgrave era. The prizes were presented by Olympic Gold Medalist, Will Satch MBE. 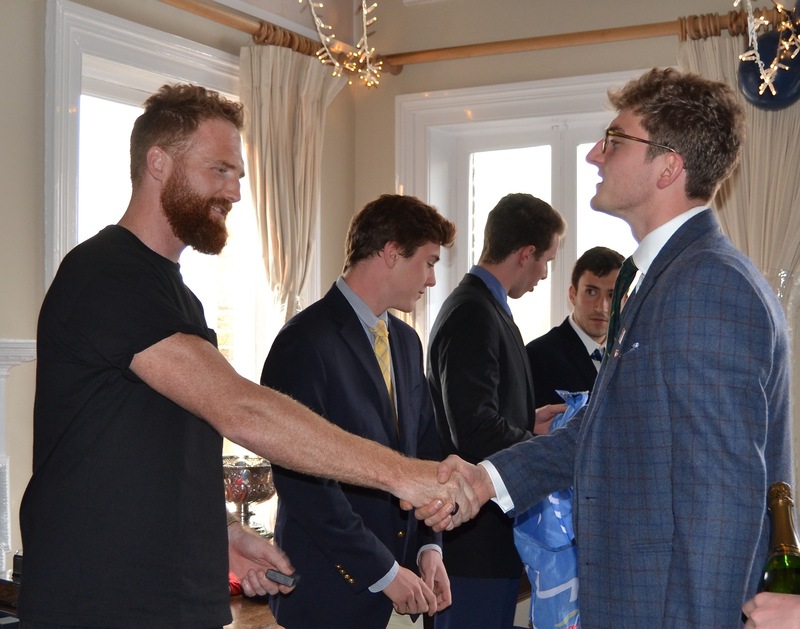 Here, Will congratulates one of the St Andrew’s University crew that won the Academic Pennant for medium sized boat clubs. 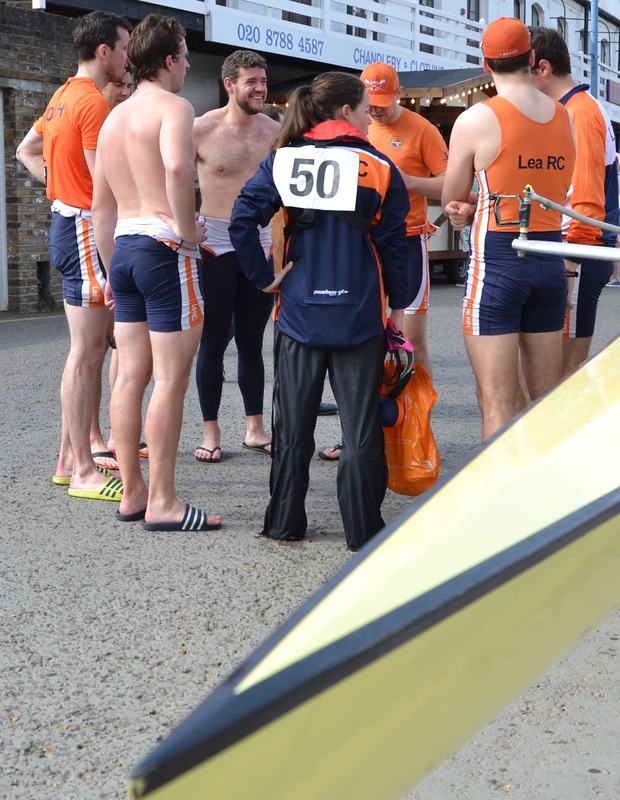 Will and some of the Tideway Scullers crew that finished in first place in the women’s division. Our friends at WEROW were the official photographers for the race and the prize-giving. 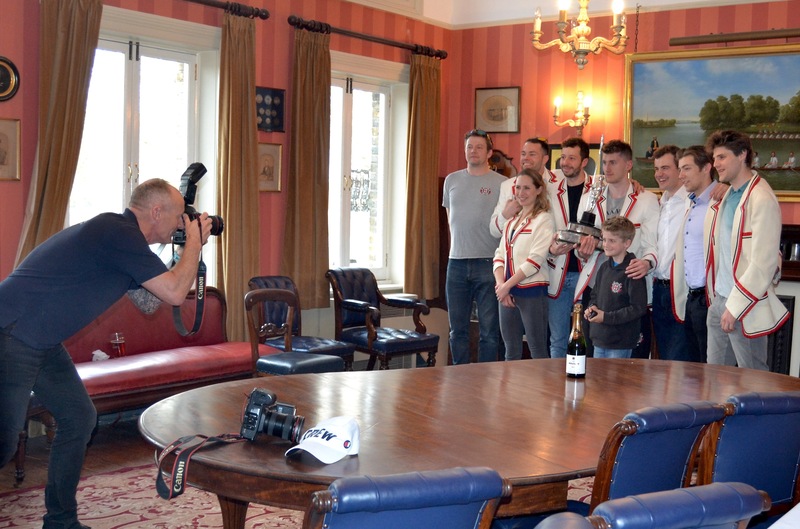 Here, in London RC’s Members’ Room, Angus Thomas photographs the Thames RC ‘A’ crew that won the Vernon Trophy. WEROW’s pictures can be viewed and purchased here. 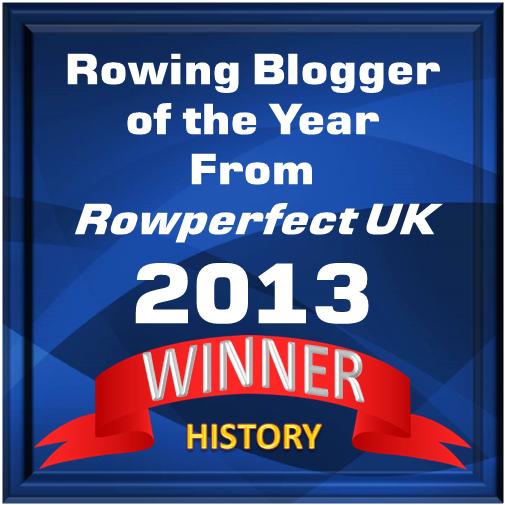 The St Andrew’s cox is pleased. 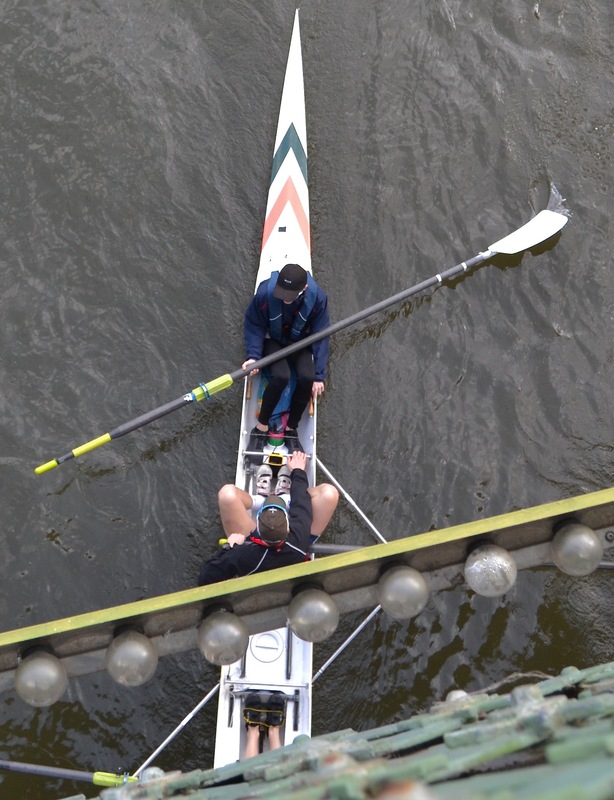 It seems that Iain Weir is not only a talented photographer and filmmaker, he can also row a bit as well. He was in the Tyne ARC boat that won the Jackson Trophy (or Jackson Hat) for the fastest British club from outside of the Thames basin. Finally, we return to the man who started it all. 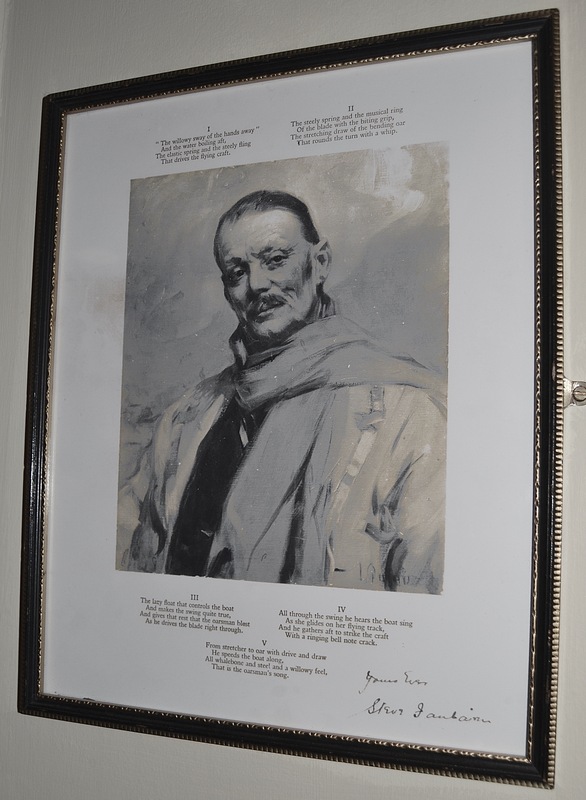 London RC has this autographed copy of Steve Fairbairn’s ‘Oarsman’s Song’ on display. I think that Steve looks rather pleased with the day’s activities, as he should be.